Super Water Sympathy calls their music "water pop." The self-invented genre invites at least as many—if not more—questions about the band's sound as it was meant to answer. A quick definition: The Louisiana five-piece sounds like Regina Spektor mixed in the wash with Florence and the Machine. After several previous attempts in college, brother duo Billy and Clyde Hargrove—the former on rhythm guitar, the latter on bass—decided to try forming band one last time. When they found and added charming lead singer Ansely Hughes, that decision to preserve proved to be the right one. "We decided that if we do [form a band]," Billy Hargrove told the blog Absolute Punk in 2012, "we must have a female singer to make it different and interesting [...] our cousin told us about a girl that he remembered from high school that was always singing and putting up YouTube videos. So we checked out her videos and stalked her on Facebook." According to Hargrove, after seeing a picture of Hughes with a snake on her head, the deal was sealed and they sent her a message. Now, two albums later, and after the departure of Billy Hargrove, Super Water Sympathy—a name the members came up with after realizing they had all dreamed about water during the same night—are trading largely off of Hughes' immensely strong vocals. She has all the windpipe strength of Sallie Ford and all the fancy of Colbie Caillat. 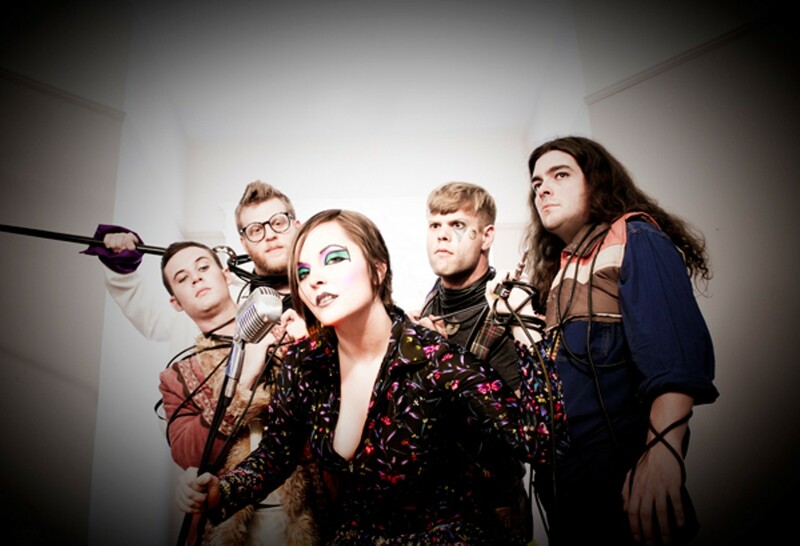 Songs such as "Purple Poppies" and "Sunday School Dress" off their sophomore album Hydrogen Child feature handclap inducing pop-rock melodies and cloyingly sweet "oh we ohs" and "ba ba bas," all aimed at fulfilling the band's vision of creating a semi-concept album with an—at times—ironically morose direction. "[Hydrogen Child] is a lot about birth and death, and what goes on after that, and what goes on in between that," said Hughes, rather generally, to the online music magazine My Spilt Milk this past summer. As if to clarify this ambiguity, she told The Daily Mississippian Online: "It's about the end of infinity." The band reached perhaps its highest profile when touring with the Vans Warped Tour in 2012 and 2013. But those looking to experience a bit of the Vans Warped Tour's famed hard edged music should be prepared for sappy pop—albeit with mighty female vocals—lest punk fans find themselves, well, punked.